The second annual #RockTheDots celebration is this weekend, through January 22 at Disney Springs and Disneyland’s Downtown Disney District. Celebrating Minnie Mouse and National Polka Dot Day, the #RockTheDots celebration features merchandise, dance parties, and food and merchandise discounts (the latter just for guests who are rocking polka dots). 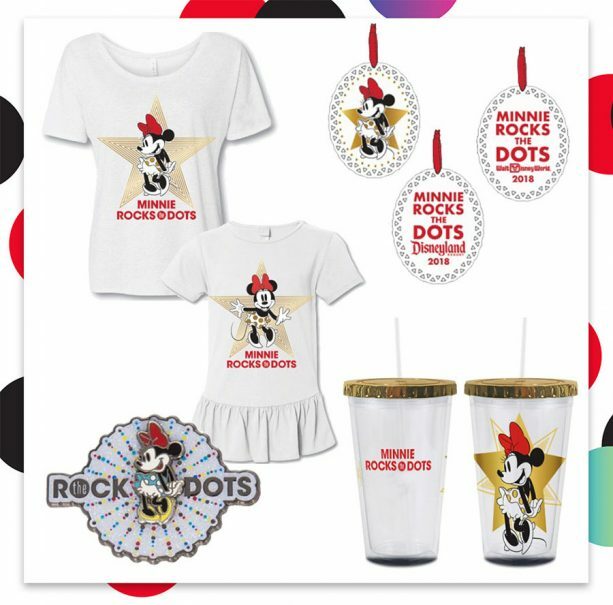 Guests on both coasts can find specialty merchandise created just for #RockTheDots including apparel, ornaments, and drinkware. There is also new PANDORA Jewelry and a new collection of polka dot Disney Dooney & Bourke handbags. Other items include sparkly sequined Minnie Mouse ear headbands, and even a Minnie Mouse-inspired dress from the Dress Shop. 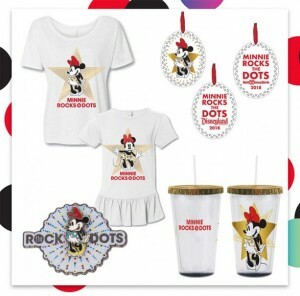 The #RockTheDots merchandise will be available at the Emporium, Mickey’s of Hollywood, and Mouse Gear at Disney World, and at Elias & Co. in Disneyland. Check out the full list of discounts available on both coasts here.